People who enjoy playing the cult post-apocalyptic game franchise Fallout are surely familiar with “Nuka Cola”. For those who don’t know, Nuka-Cola is a fictional soft drink that is omnipresent throughout the game. It glows with a sickly radioactive glow, and it satirizes America’s fascination with radium from the beginning of the 20th century. It may seem downright crazy, but a radioactive energy drink actually existed in the 1920s and people believed in its magical properties. 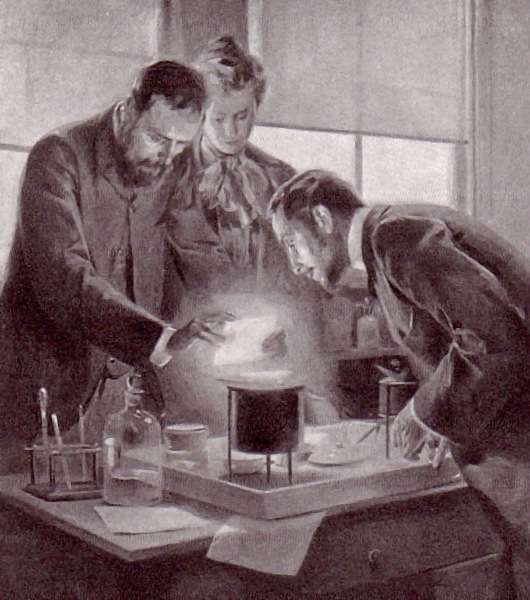 Marie and Pierre Curie experimenting with radium, a drawing by André Castaigne. 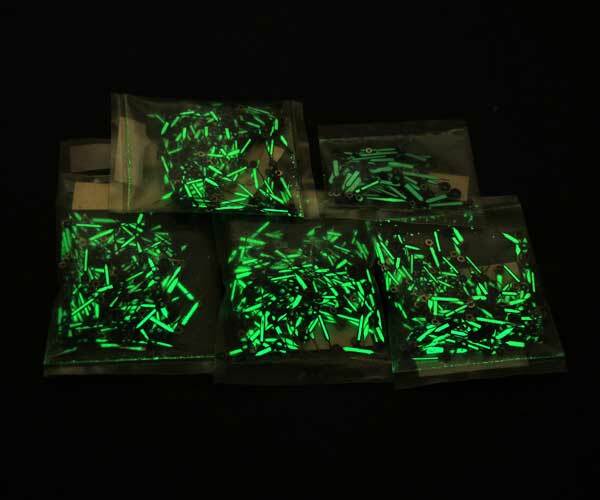 Radium is a highly radioactive element that was discovered by Marie and Pierre Curie in 1898. Its dangerous properties were not immediately discovered, so people actively enjoyed its captivating fluorescence until the early 1930s. The early 20th century in America was marked by the “Radium craze”, a period when many everyday products were infused with radium. 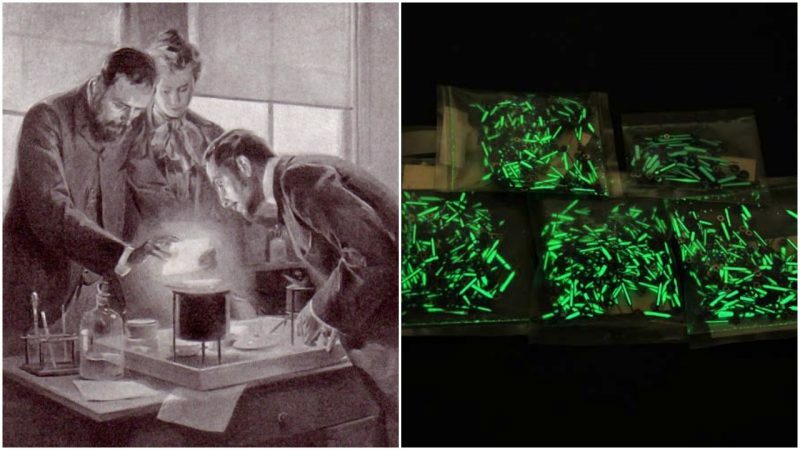 The craze abruptly ended at the beginning of the 1930s when people started dying from various radiation-related conditions, but the period of radium appreciation spawned some fascinating products. One such product was the “RadiThor”, an energy drink produced from 1918 to 1928 by the Bailey Radium Laboratories in East New Jersey. William J. A. Bailey, a Harvard dropout, created the drink by simply dissolving ridiculous quantities of radium in water. Some negative effects of radium were discovered as early as 1912, but the drink was still advertised as completely harmless and a potent painkiller, energy drink, and a remedy for many physical problems. Thankfully, its death toll was not very high because it was too expensive to be consumed by most people. 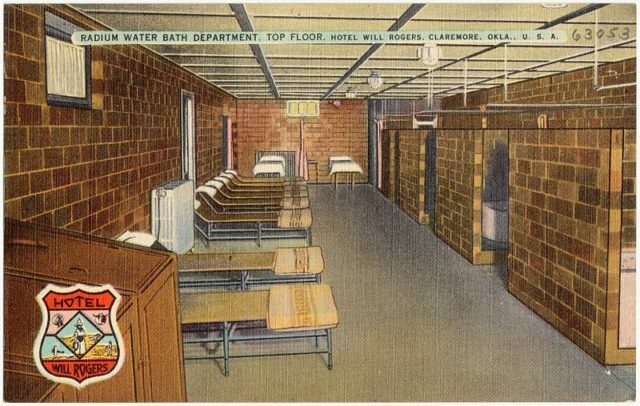 Hotel postcard advertising radium baths. Still, RadiThor claimed a number of victims despite its unavailability to the general public. Eben McBurney Byers, a wealthy and prominent American industrialist, was the most well-known victim of RadiThor’s hidden lethal properties. He used RadiThor to ease pain in his back and joints, and reportedly drank as many as 1400 bottles over just a few years of active consumption. When the dangerous side-effects of radium consumption were brought to the public attention, Byers’ body was already in a state of massive deterioration. Since radium accumulates in the bones, Byers developed multiple cancers and skin lesions all over his body, and holes formed in his skull. He died on March 31, 1932, and was immediately buried in a thick lead coffin to stop the radiation from contaminating the surroundings of his grave. 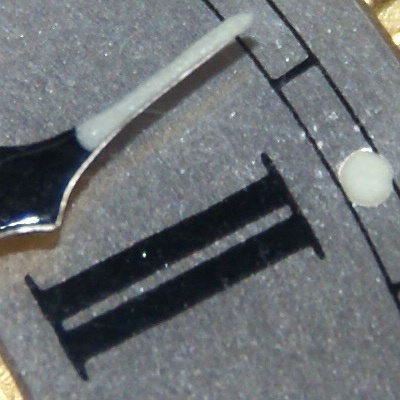 Radium watch hands under ultraviolet light. By the mid-1930s, all products that contained radium were discontinued, but this happened too late as tens of thousands of people enjoyed a wide variety of radium-spiced products. Thousands died from various cancers that developed due to years of being exposed to small but steady amounts of radiation. This suggests that strange glowing elements should be thoroughly studied before being advertised as magical.